Beard care is important. It starts with a great beard wash. 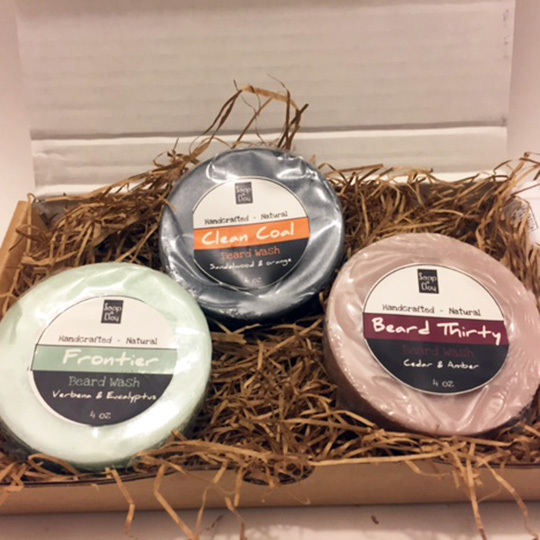 Available in three varieties, Soap & Clay’s beard wash is formulated to maintain a healthy beard without over-drying or over-moisturizing. Powerful, cleansing lather de-grimes facial hair while nourishing and protecting the skin beneath. For more information, see the detailed description below. Make your selection from the drop down menu and keep your beard hand strong. Yeah, I don’t know what “beard hand strong” means either. Badass Beard Wash for a Badass Beard. 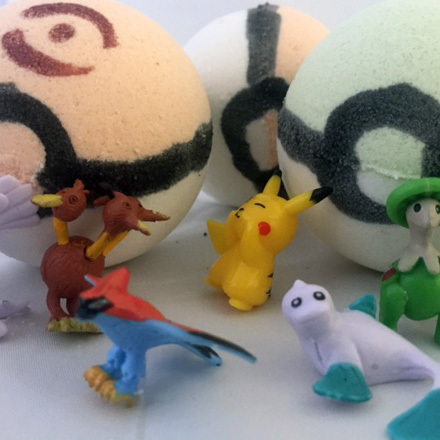 The first step in maintaining a healthy beard is using the right product to wash it. 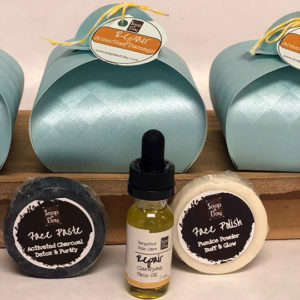 Normal shampoos strip your beard of needed oils, commercial detergent bars and body washes leech water from the hair follicle, and artisan shower bars often deliver more moisture than your beard needs. 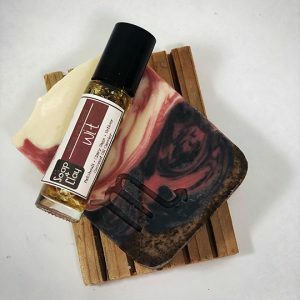 Soap & Clay’s beard wash is a balanced bar formulated to cleanse facial hair. These solid beard shampoos effectively remove dirt, grime, or grease from that breakfast burrito you had this morning without stripping your beard of much needed natural oils. Soap & Clay’s beard wash is in solid form, which means your beard gets all that lathery badassery without the dilution you find in a liquid wash. That’s a good thing, just FYI. 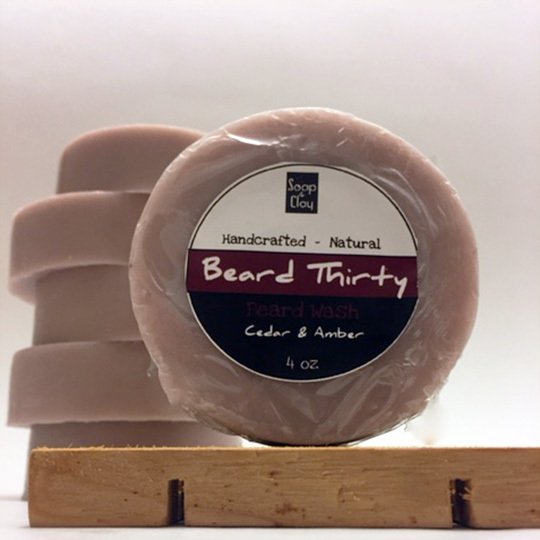 Made with jojoba oil, coconut oil, avocado butter and avocado extract, these bars have a fantastic lather that works to soften your beard while keeping it healthy. Facial hair is tricky business. It needs oil, but too much makes the hair shiny, heavy, and attract dirt. It needs cleansed, but overcleansing dries the follicle and leads to split ends and flyaways. 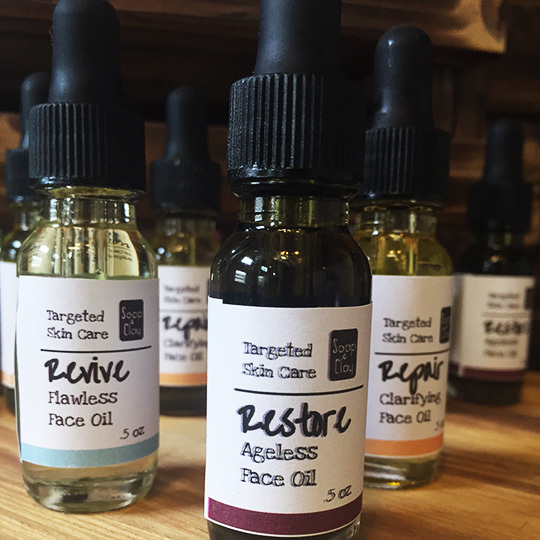 Most importantly, the skin beneath a beard needs to maintain a healthy acid mantle to prevent breakouts, itchiness, and ingrown hairs. 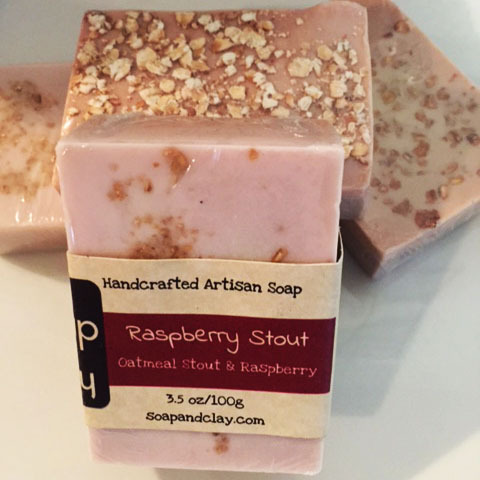 This is why a normal bar of soap or a shampoo won’t work as well as a bar specifically formulated for facial hair. Soap & Clay’s beard wash line is designed to maintain a healthy beard and the skin underneath without drying or over-moisturizing. Available in three varieties – check the deets below. 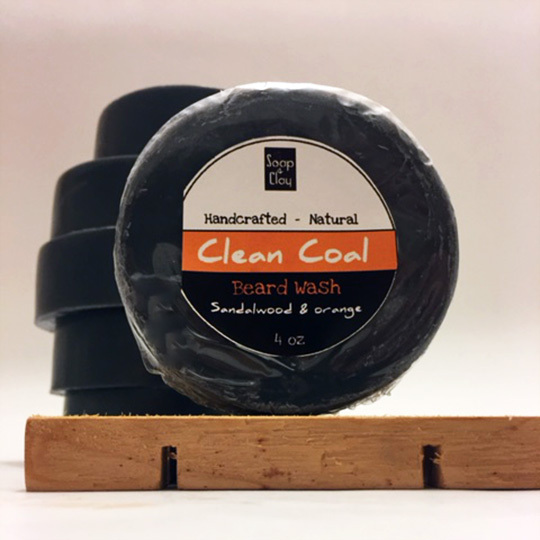 Clean Coal is an activated charcoal bar perfect for thick, established beards that have more places for dirt to hide. This bar eliminates grime and grit while removing toxins that lead to ingrown hairs from the skin. Sandalwood and orange are both calming and uplifting. 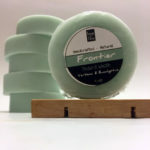 Frontier is a pine tar soap with a thick, beautiful lather that promotes hair growth. 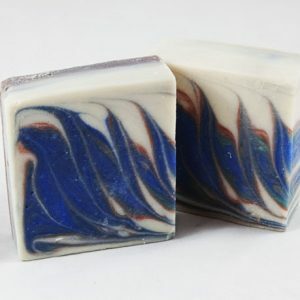 This is a great bar for those in the early stages of bearding (a real term) as it helps establish good growth while cleansing and moisturizing. Outdoorsy and fresh, this lemon, verbena, and eucalyptus blend is very similar to Creed’s Green Irish Tweed cologne. Beard Thirty is a beer soap with an amazing, creamy lather that soothes irritated skin and softens the hair follicle. Bergamot, amber, and cedar finish this rustic bar. 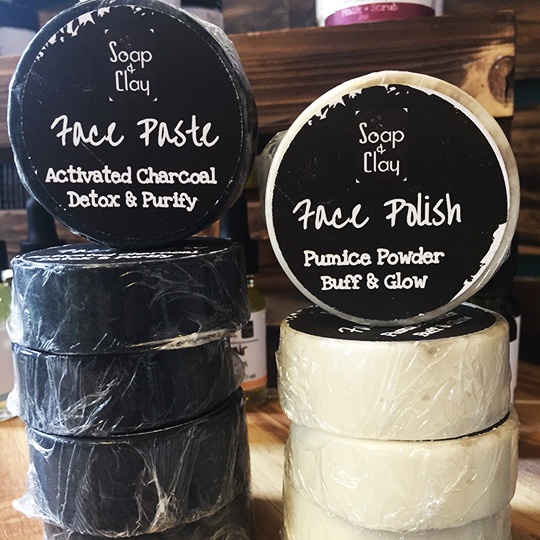 **Additional Ingredients (based on bar selection): activated charcoal, bentonite clay, kaolin clay, honey ale, pine tar sap.